Boasting a collection of around 18,000 islands, Indonesia is the world’s largest archipelago with the longest coastline and therefore, the most beaches. 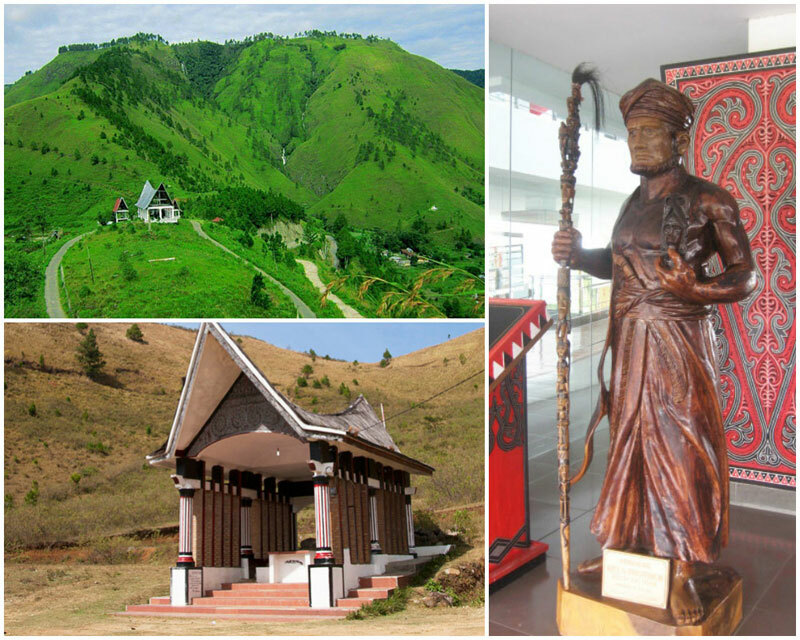 Stretching over three time zones, Indonesia displays a variety of natural wonders as well as a diversity of cultures, from Sabang in the West, to Merauke in the East. 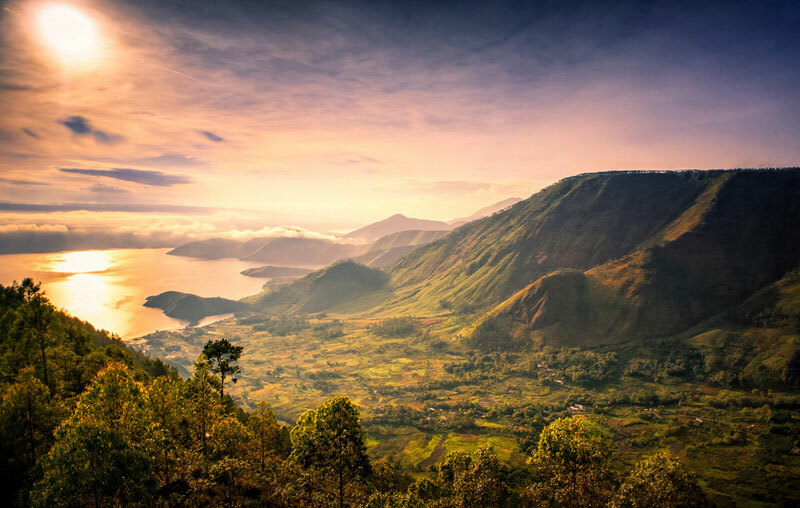 The world renowned island of Bali might seem a little stale, and with its ever increasing rise in popularity, has now become overcrowded during peak seasons. Not to mention the annoyingly persistent hawkers who will try to sell you everything you don’t need. Note: Most of these are a collection of small islands, arrange for a boat to take you around to the best spots. 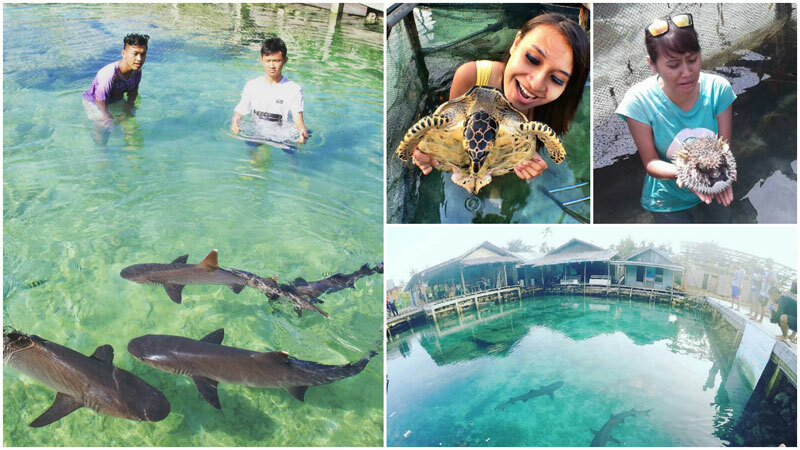 The Shark conservation pond, Menjangan Besar Island is a breeding ground for small harmless sharks (as long as you are not on period or have open wounds) as well as turtles. A cluster of small islands between shallow waters, you won’t need to dive deep to peek into its underwater life. All you need is a snorkel mask and a pair of fins, and also a boat guide to take you around the best spots. 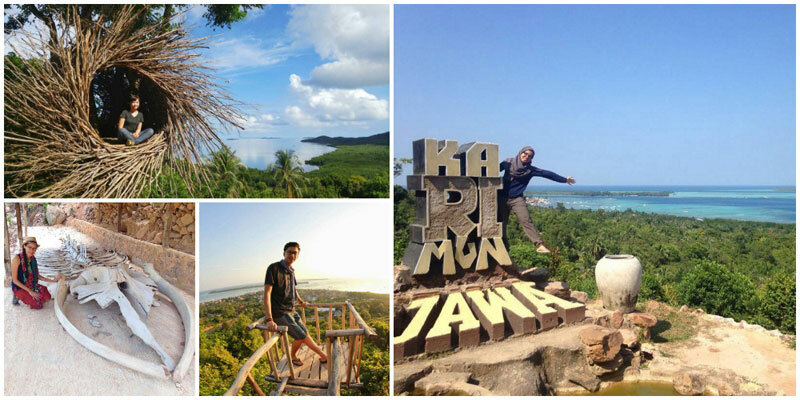 Hike up Bukit Jokotuwo for a completely bizarre experience. The hill is named after a prehistoric whale that was found on the island. There is also a rock formation that resembles giant prayer beads, legends speculate, but no one knows for sure why it is there. A panoramic vantage point awaits on the hilltop, with a view of the surrounding islands, perfect for sunsets and sunrises. Arive at the resort via boat and dock on a private jetty. 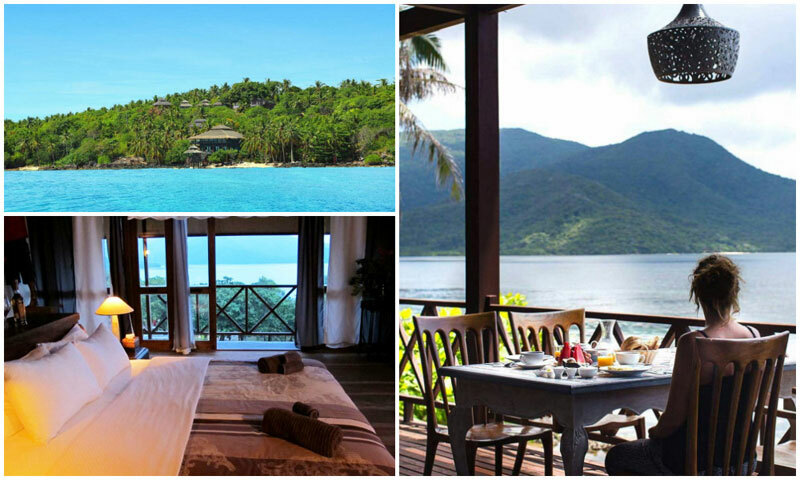 The Breve Azurine Lagoon Resort promises privacy to soak up the sun and the clear blue sea away from the crowds, as well as a good night’s rest in its rooms decorated in rustic wood furniture. Q1: When is the best time to travel? A1: Around October, when the water is at its shallowest. Q2: What is the ideal length of stay? Q3: How do I get here from Jakarta? Q4: How do I get here from Singapore? Note: boats do not depart everyday, be sure to do some research beforehand, and due to high demands, boats would often be full. As of now, the best option is to book through travel agents. 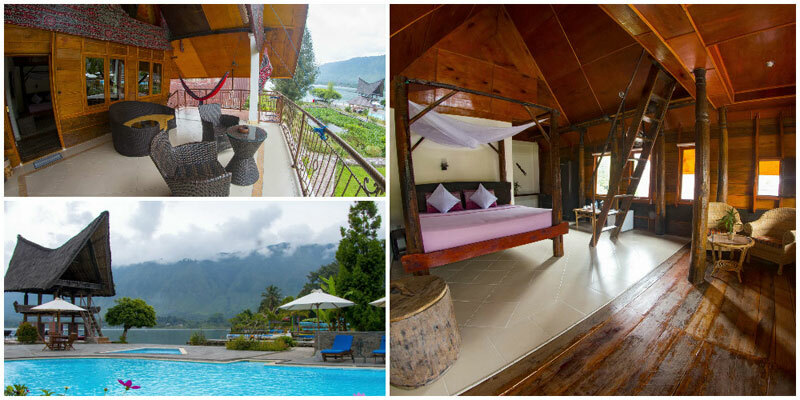 Only an hour away by boat from Jakarta, it is often overlooked by holidaymakers. With so many nearby islands to explore (as is aptly named), you might just be surprised at what it has in store. It is also arguably the most budget-friendly island on this list. 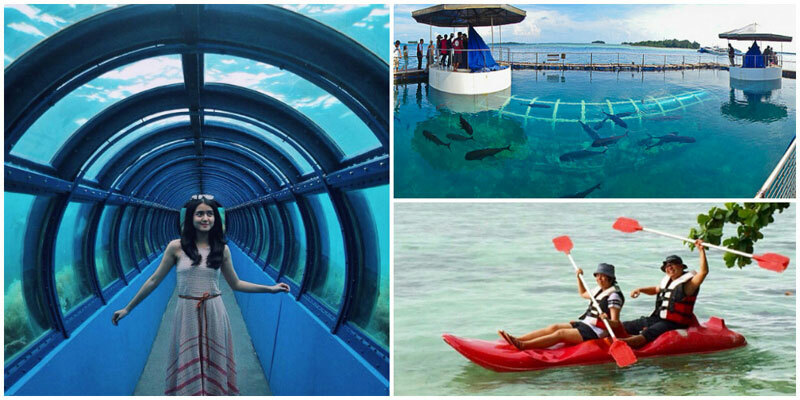 Other than all the water based activities you can think of, the Putri Island is home to an undersea tunnel. Different from what you get in seaworld, witness sea creatures interact with one another in their natural habitats, no holds barred. You might be familiar with a candlelit dinner on the beaches of Jimbaran, why not go all the way and have a romantic one-of-a-kind lunch in the warm and calm waters of Pantara Island? Enjoy a variety of dishes, from Western, Arabic, local, and of course, fresh seafood right from the sea. Check out the couple package available here. 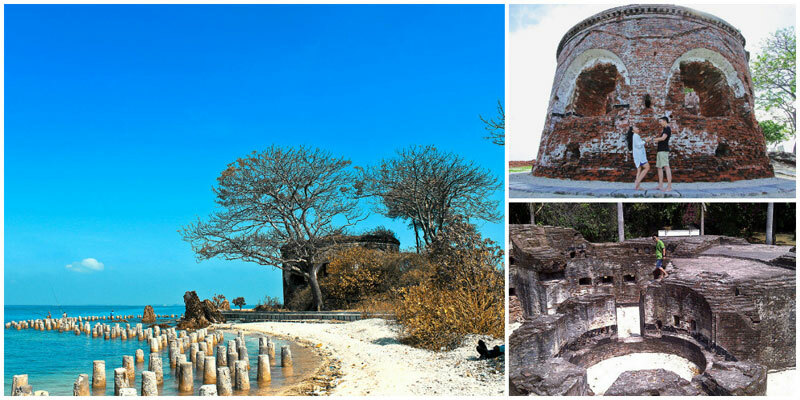 Take a tour of the Bidadari Island, a historical heritage dating back to the 17th century which has been heavily damaged by Krakatoa eruptions. 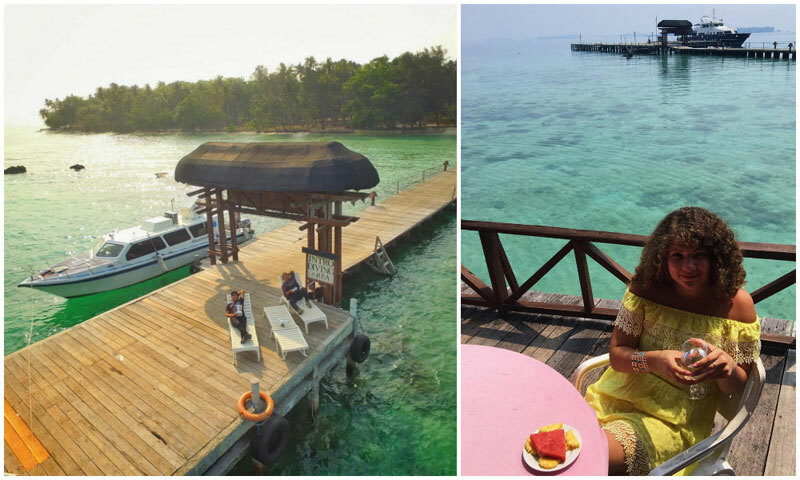 Get to soak in the island getaway feel in the Pulau Macan’s cottages which are made of driftwood with thatched roofs and recline on the deck chairs provided on your private floating patio. A2: Since the islands are small in general, one day should be enough per island. Q3: How do I get here from Singapore? Q4: How do I get here from Jakarta? By boat which depart from Marina Ancol, or from Muara Angke for a cheaper alternative. Each island has its own boat and schedule (normally there are 2 daily departures; morning and afternoon only). All boats to Pulau Seribu depart in the morning from Marina as all islands offer a day trip with return to Jakarta after lunch. Departures in the afternoon are not available. Go island hopping in the Northwest coast of the island, and take the best vacation photos in years to come. This iconic lighthouse 50 meters above Lengkuas Island was built in 1882 by the Dutch Colony Government. Getting there: Travel towards the north of Tanjung Binga village via boat to Lengkuas Island. 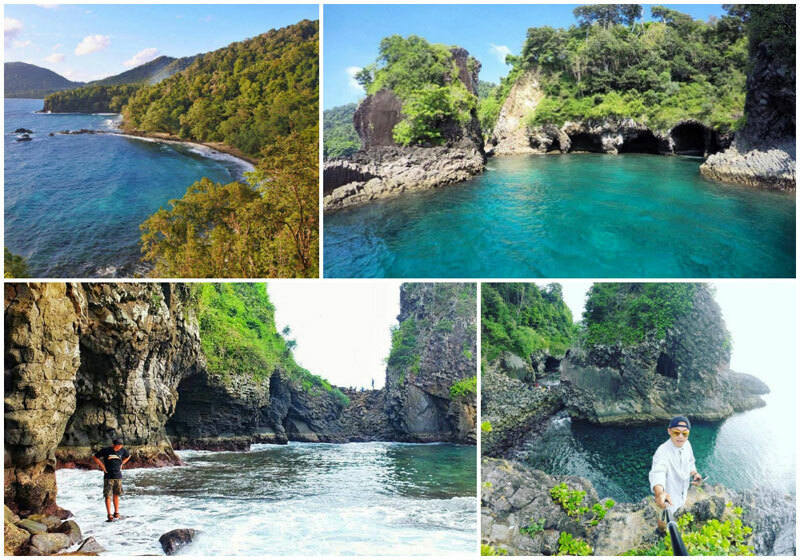 Trek through a beach jungle, and uncover its hidden treasures of colourful coral fish and giant seashells at Kepayang. 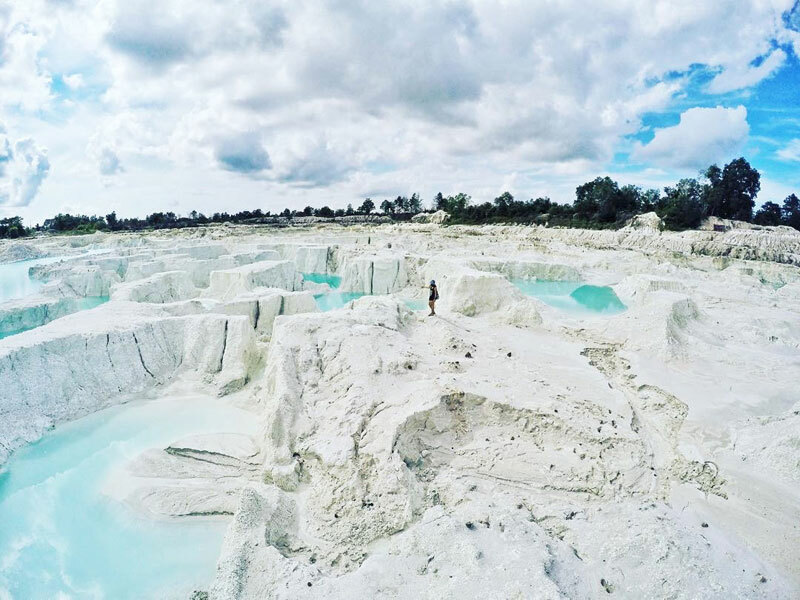 The remains of Kaolin mining quarries have formed unreal bright blue pools of water with white sands – seemingly out of this world. It’s one of the best areas to explore and take incredible photos too. Apart from appreciating the natural wonders of the Belitung islands, it is also the background to Andrea Hirata’s “Laskar Pelangi” series. Visit his museum and sip on a cup of coffee at its coffee shop, or venture to the historical SD Muhammadiyah featured in his books. 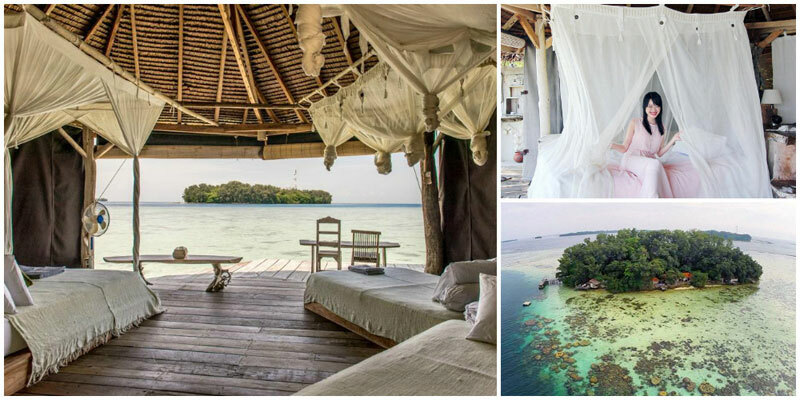 If you are looking for something truly unique, reserve a room at the Kepayang Island Conservation Center. Not only do you get a beachfront patio, the island is also a coral and turtle reserve where you can chose to dive, snorkel, or canoe to appreciate it. Q3. How do I get here from Jakarta? 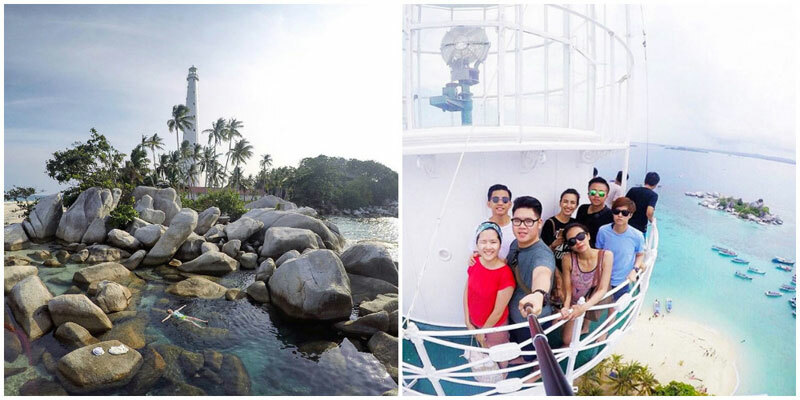 A4: There are no direct flights from Singapore to Belitung from May 2019. You can reach Belitung by booking a flight to H.A.S Hanadjoeddin Airport Belitung Airport via Garuda Indonesia with a short transit at Jakarta. Total trip duration (per way): 6 hours 40 minutes. Cost of return flights: SGD $224. 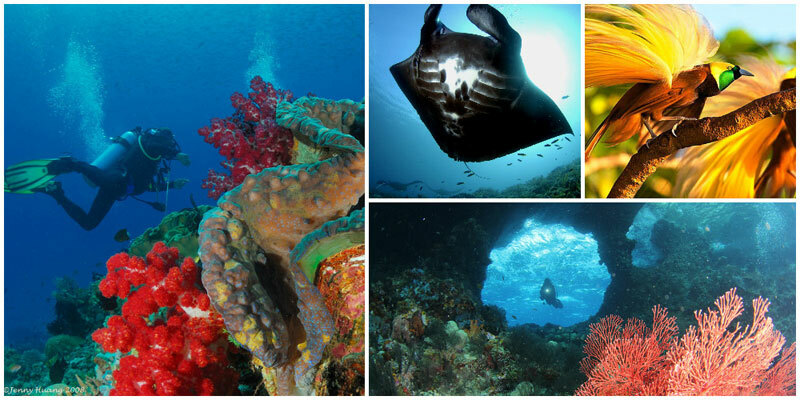 Pulau Weh offers 20 untouched diving spots. Witness a magnificent display of underwater geographical features with a swarming population of fish, including whale sharks, manta rays, and moray eels. Apart from the underwater canyons and volcanoes, another unique diving spot is the Sophie Rickmers shipwreck, where you can find the rare Angelfish only seen in deeper waters. 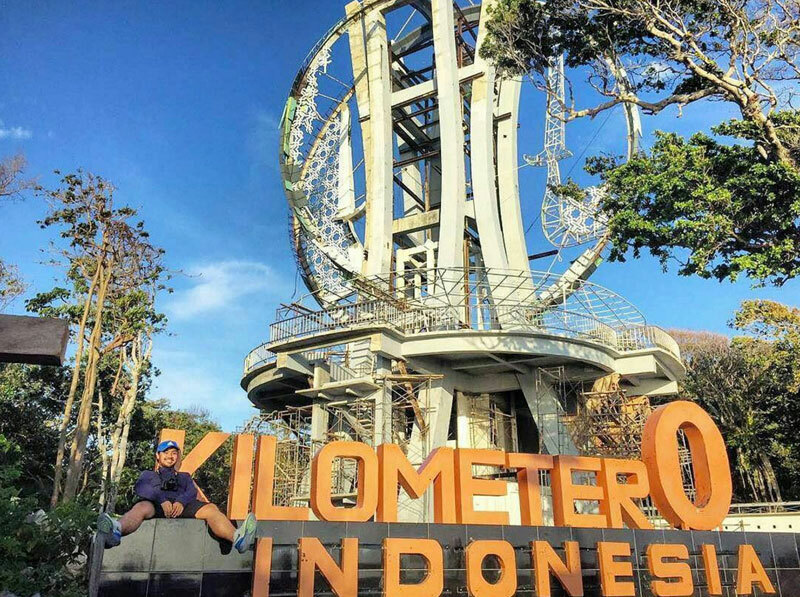 Located at the North Western tip of Indonesia, it is considered by many travellers as the ‘cherry on top’ by many travellers – with the Zero Kilometer Monument in Sabang, the main city of Pulau Weh as a huge milestone. Watch how seawater slushes through gaps in the rocks, showing how these beautiful forms of nature were created. 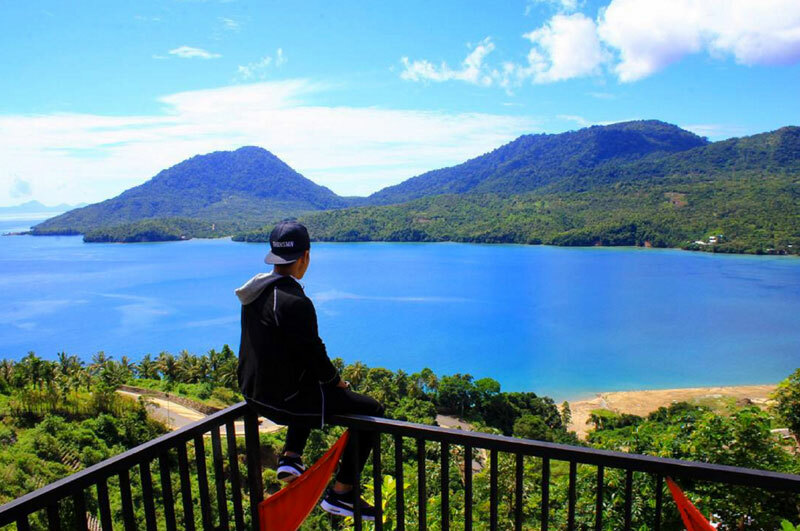 Roughly an hour’s trek is required to get this hidden piece of gem on the island of Sabang, do you think it would be worth the trip? 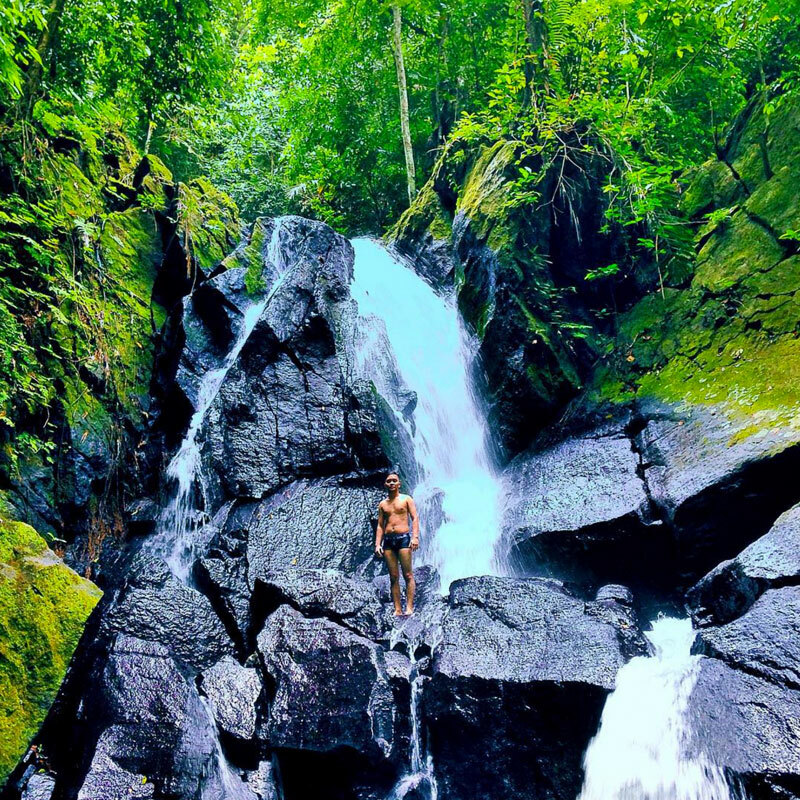 Take a short trek through a tropical jungle from Pria Laot Village and you will be rewarded with the picturesque Pria Laot Waterfall and take a dip inside its moss covered stone lagoon. 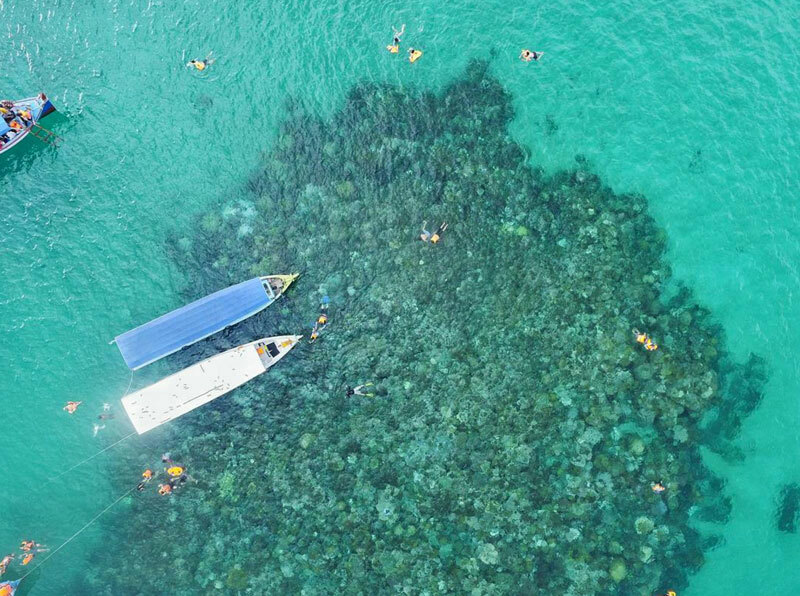 What was once a coconut plantation in Iboih has now become a dive resort with coral reefs right at its doorstep, including two of Pulau Weh’s favourite spots: Batee Tokong and Shark Plateau. Even if diving isn’t your thing, you may find it quite irresistible to nap on a hammock or lounge on a deck chair right on the resort’s white sand beaches. A1: For the best sight of undersea wildlife, visit just before the rainy season of November – January. A2: It depends on how many diving spots you plan to visit. For non-divers, 2 to 3 days should be ideal. 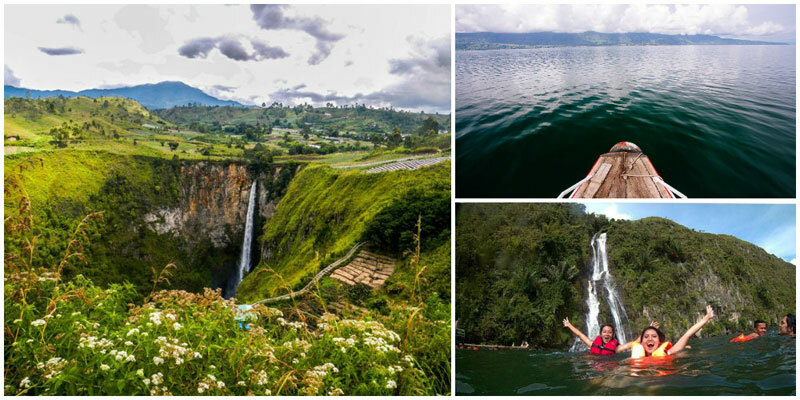 Located almost 1000 meters above ground, the Samosir Island sits in Lake Toba, the world’s largest crater lake formed by a prehistoric mega eruption that reduced the world’s population significantly. Trekking up its beautiful hills, you get the feel of its magnitude, how it has changed the course of human history. 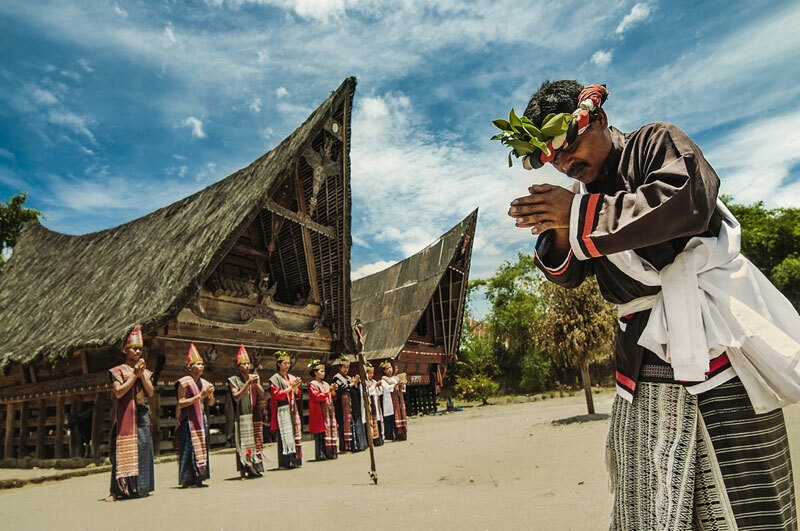 Rich in traditional values, the culture of the Batak Toba people is distinctive from any other in the country. Highly skilled craftsmen decorate the island with effigies that make great souvenirs, while women weave cloth in red, white, and black that reflect their philosophy of life, which is sometimes contradictory from that of Javanese people. Fits right in between the backpacker homestays and costly hotel resorts. The view from the lakeside pool is surprising entertaining considering the price. The place is often fully booked so make sure you have made reservations. Perched on Borneo’s East Coast in the Celebes Sea, the Derawan Island may be the least heard of island on this list, at least not until very recently. Bright colours of its surrounding wildlife, including all sorts of species of fish you can think of, indicates its untouched beauty. 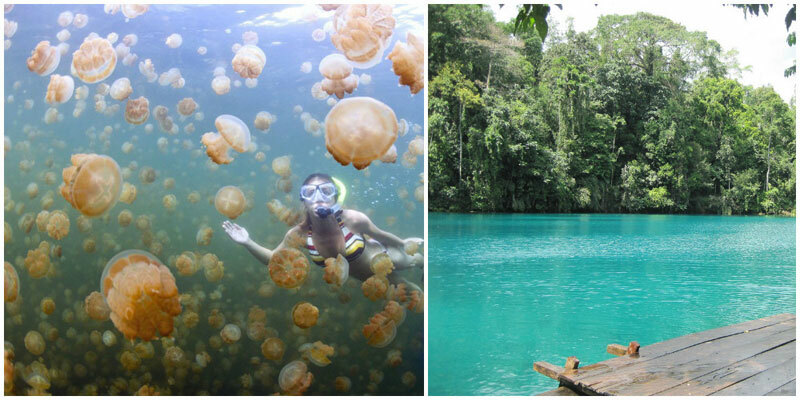 A UNESCO heritage site, you can swim with stingless jellyfish in Lake Kakaban, an activity you can do in very few places around the world. Slalom through stone walls at the Haji Mangku Cave, a cave lake that is truly out of this world. You might have to trek through the jungle, but the sight is absolutely worth it. 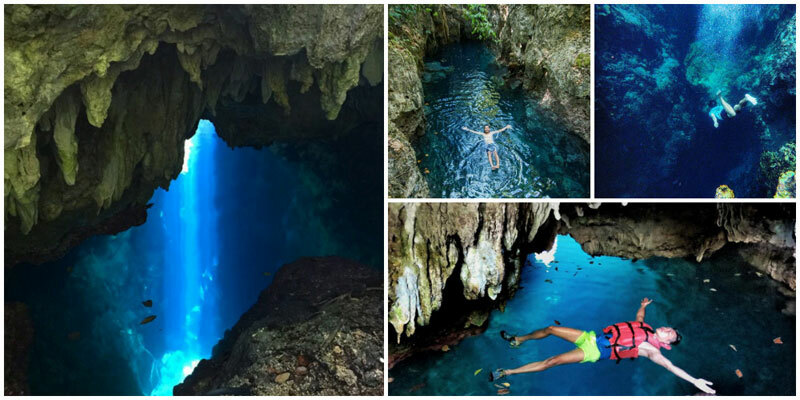 Only accessible during low tides, a hidden lagoon lies in the jungles of Kakaban and the only way through it is by crawling underneath caves. Watch how the lagoon’s almost transparent water perfectly complements the surrounding mangrove forest. Q2: How do I get here from Jakarta? 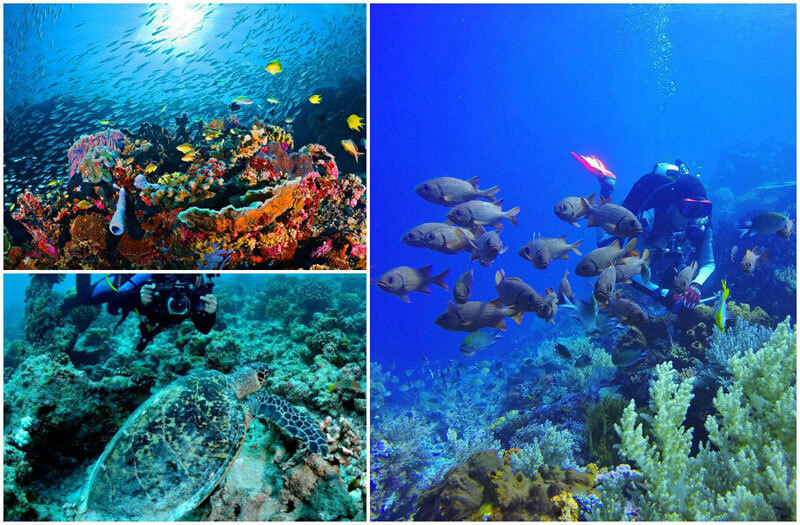 From its highest peak, to diving in its deepest waters feels like a scene out of National Geographic. 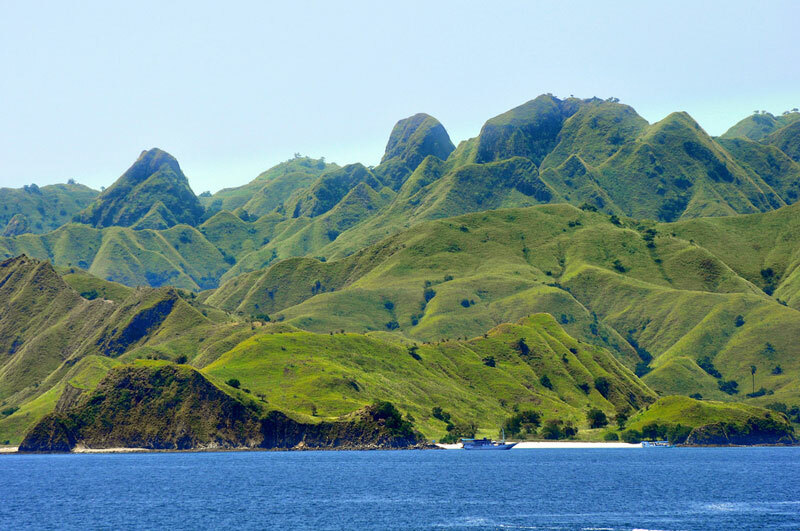 It is clear to see why the Komodo Islands is one of the 7 wonders of the world. It’s another one of those great dive locations dive lovers simply can’t miss! 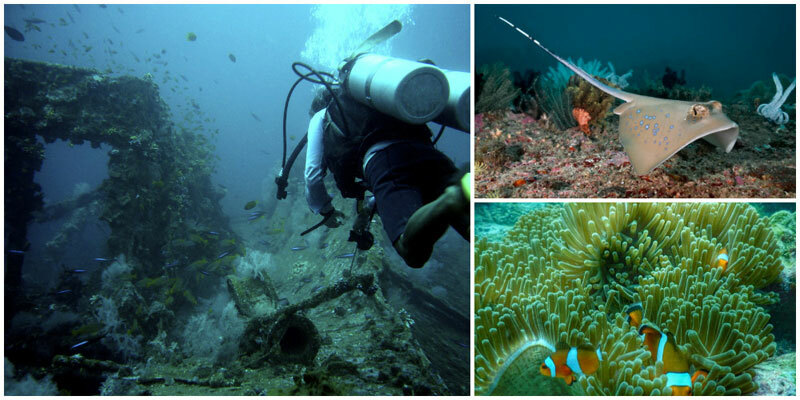 Especially when “diving in its deepest waters feels like a scene out of National Geographic” Need we say more? 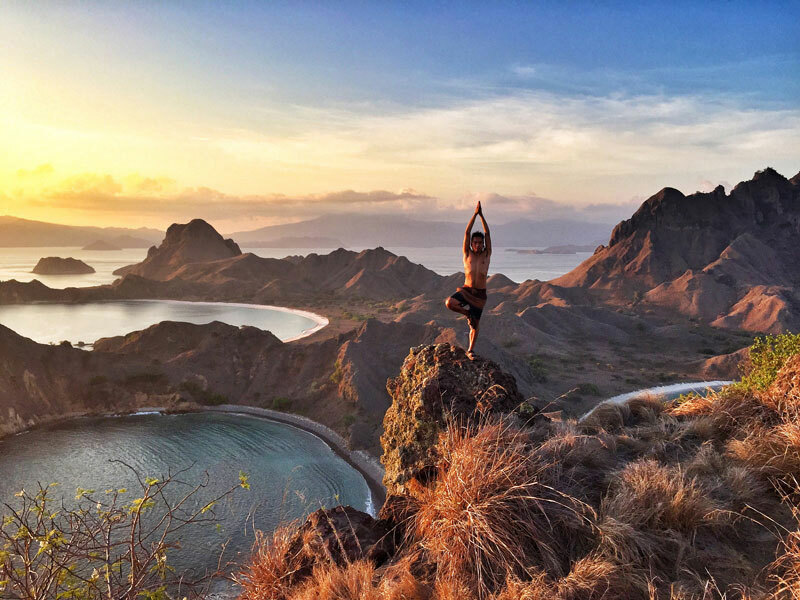 Hike up the hills of Gili Laba and Padar island just before sunrise and witness an unforgettable sunrise and the panoramic view after that. 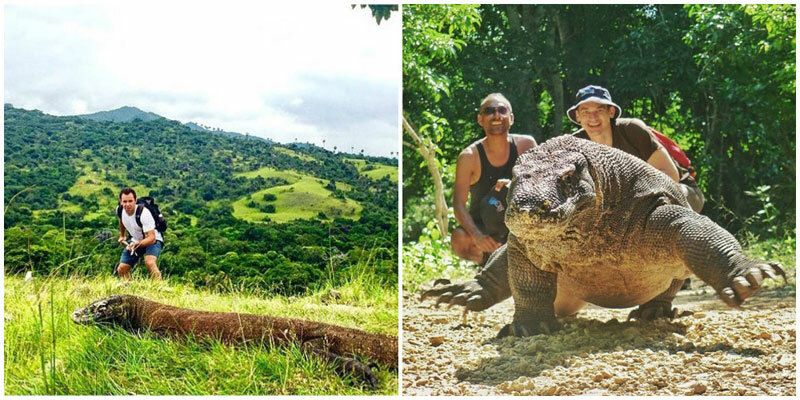 Get up close (just not too close) with real life dragons, only found in the Komodo Islands. Be sure to follow safety procedures because one bite will send you straight to the hospital. Most people tend to stay at Labuan Bajo for a bit, before heading to Komodo. and if you wish to extend your stay in Flores, there are plenty of accommodation options available too! 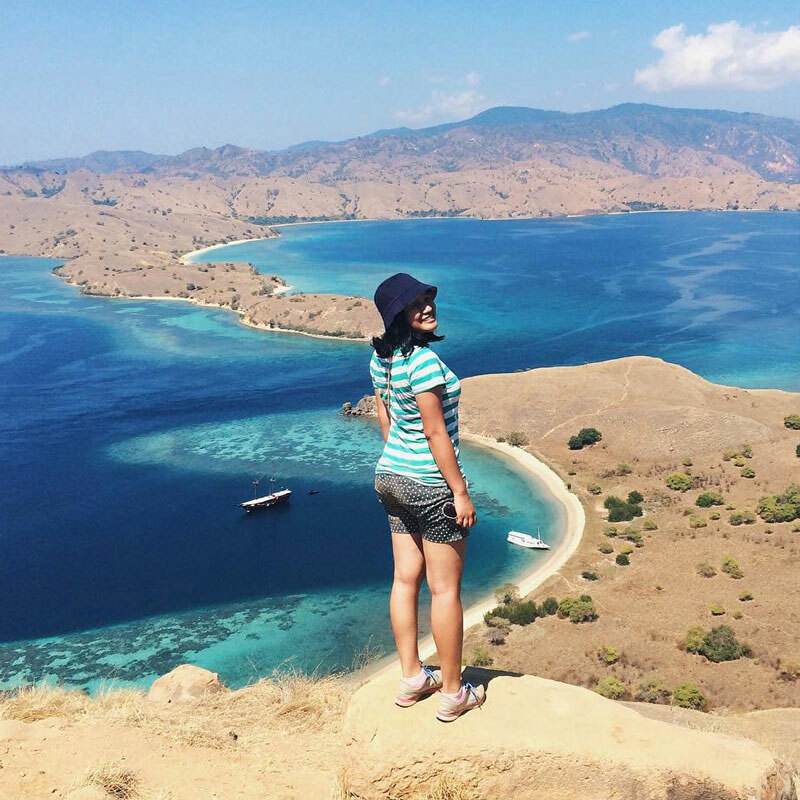 Do note that you can’t visit Komodo by yourself, so the only option is to find a tour guide. Negotiate and make sure to ask questions, especially about the boat you will be staying on and its safety features. 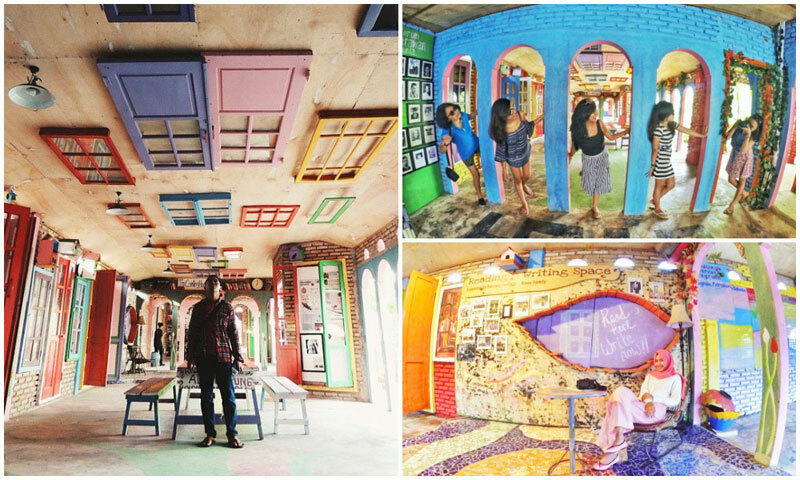 Prices of a 2D1N tour could be as low as 2,000,000 IDR a trip if you bargain hard enough. 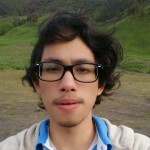 Q3: How do I get to Labuan Bajo from Jakarta? Q4: How do I get to Labuan Bajo from Singapore? Q5: How do I get here from Labuan Bajo? About an hour away by boat from Bali, the Gili Islands display the same vibrant elements of a tropical getaway without the hustle and bustle that usually comes along with it. as Bali, but without all the hustle and bustle. 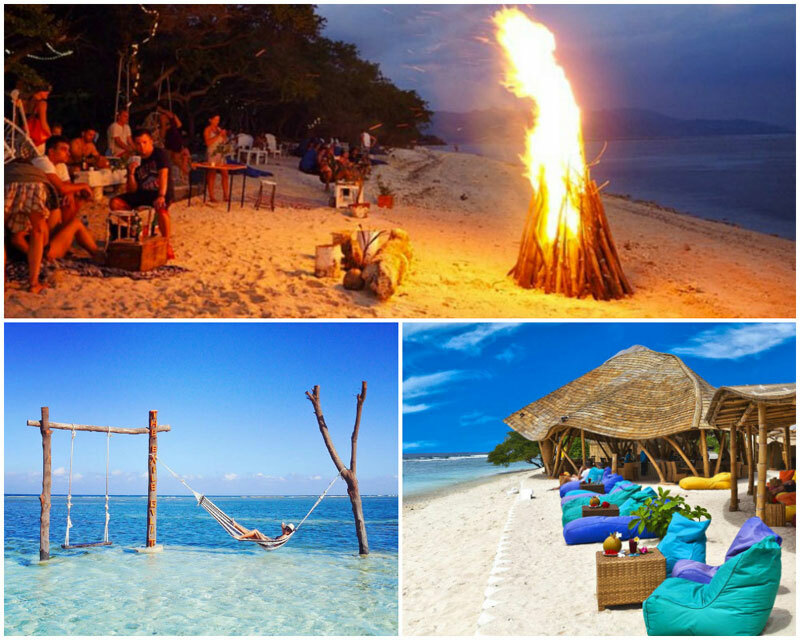 Hop between the three Gilis; Gili Trawangan, known for its festive nightlife. 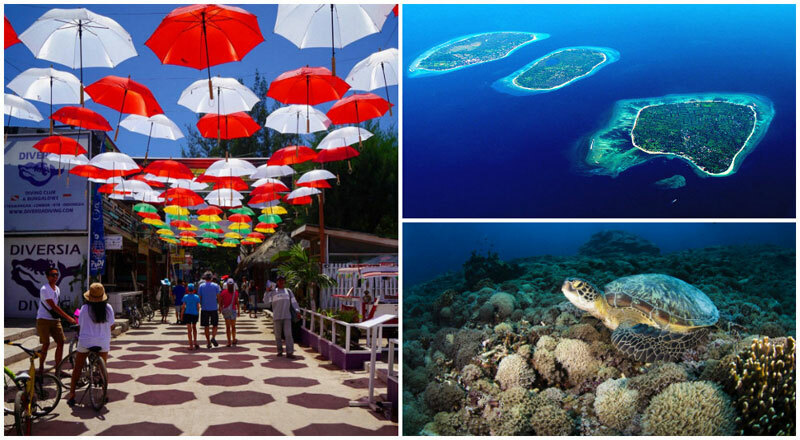 Gili Meno, for its pristine beaches and wildlife. And lastly Gili Air, for the perfect balance of the two above. Take the party to a whole new level – party on a boat! 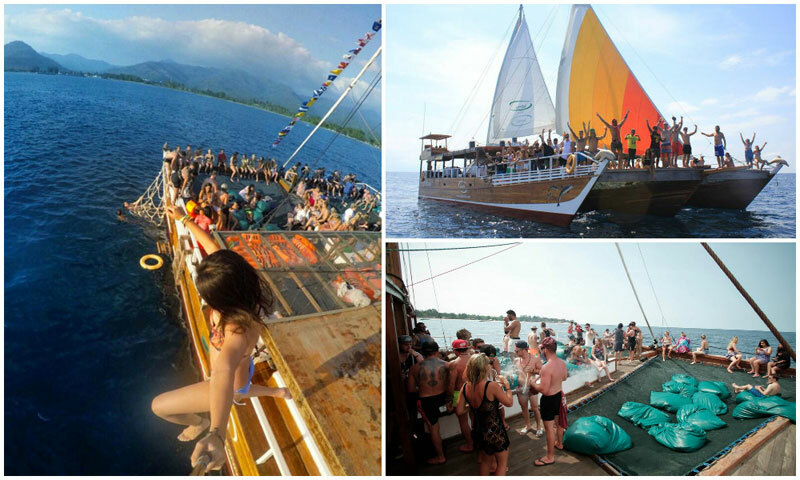 The Jiggy Boat Party offers this unique experience for only 350,000 IDR (26 USD) per person. Private cottages decorated with a blend of traditional and modern touches,surrounding a moat-like swimming pool, encircling a gourmet restaurant and pool bar in the middle, it doesn’t get cooler than this. Considered one of the world’s best dive spots, exploring Wakatobi’s undersea kingdom is like going on an acid trip. Expect an explosion of colours thanks to its riches in Flora and Fauna. With a coral reef that stretches above 600 km in total, non-divers can even enjoy the underwater display from its shallow bay by snorkeling. 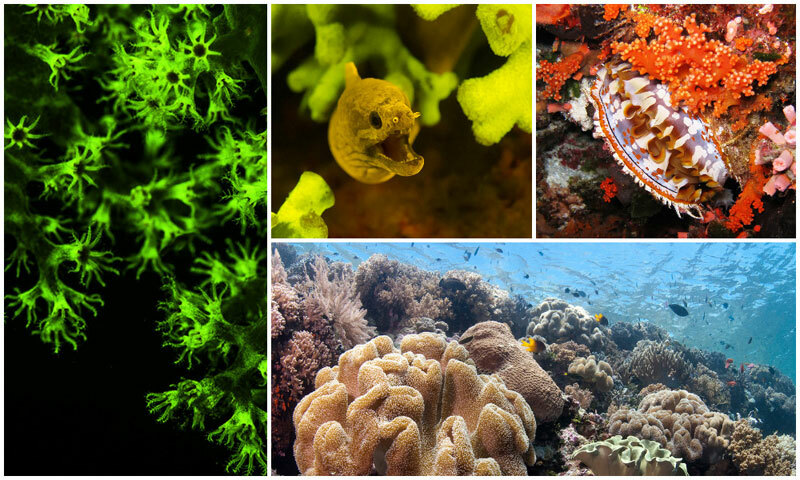 But for something out of this world, try Fluo-Diving, a technique pioneered in Wakatobi that uses black light to bring out the colours of the sea. 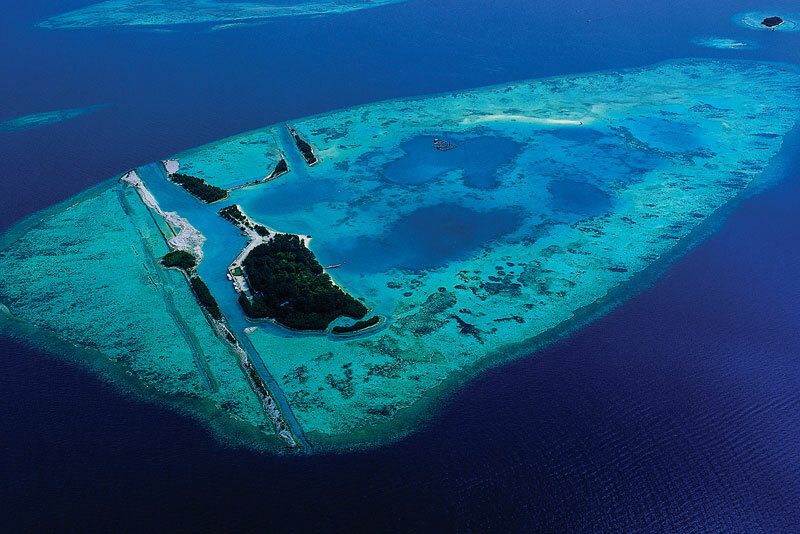 As international wildlife reserve, the atmosphere on the islands is the pure definition of pristine, decorated with the beautiful song of wild birds. A simple stroll on its white sand beaches and clear blue waters can prove extremely relaxing, giving you the feeling that you have got the island all to yourself. Depending on the season, you can catch sperm whales and whale sharks that migrate to the warm waters of Wakatobi. Even better, get a boat ride into the deeper waters to increase the chances of spotting them, if budget isn’t a problem. The hardwood furnished cottages along the island’s sandy beaches will surely keep you warm and comfy after a day out on the waters, checking out all the activities the resort offers. Committed to sustainability, the resort even grow their own organic fruits and vegetables served in their restaurant. A1: In the late months before and around November is when fish from colder regions migrate. A2: Depends on how many diving spots you plan to visit. For non-divers, 2 days should be ideal. Ridiculous sights – a collection of uninhabited mushroom shaped islets in a pool of warm shades of turquoise blue waters. Rich in biodiversity undersea, on ground, as well as in the skies. In fact it is considered as the best in the country. Don’t go to Raja Ampat before acquiring a diving license. 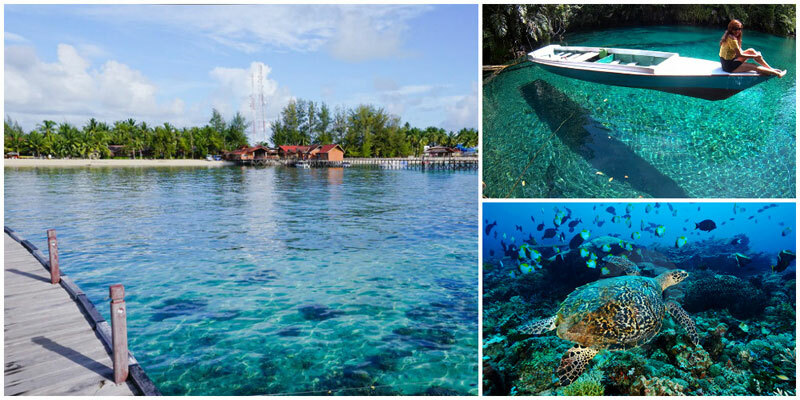 Raja Ampat ranks in the top 10 diving spots in the world. It is not hard to understand why Raja Ampat is often used as a yachting rendezvous. For a less lofty alternative, arrange boat tours with your homestay owner and you might be surprised at how much less it can cost. 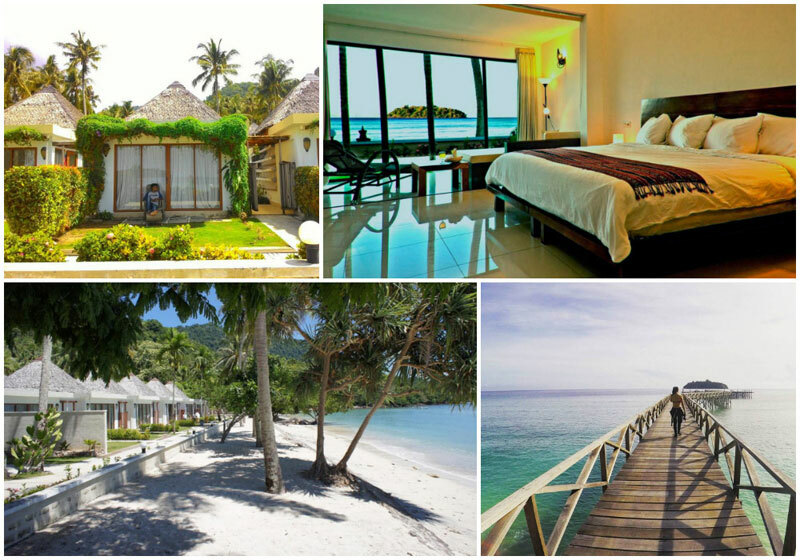 Furnished with the most basic amenities for a complete retreat to nature, this budget resort is situated directly on the waters of Raja Ampat. 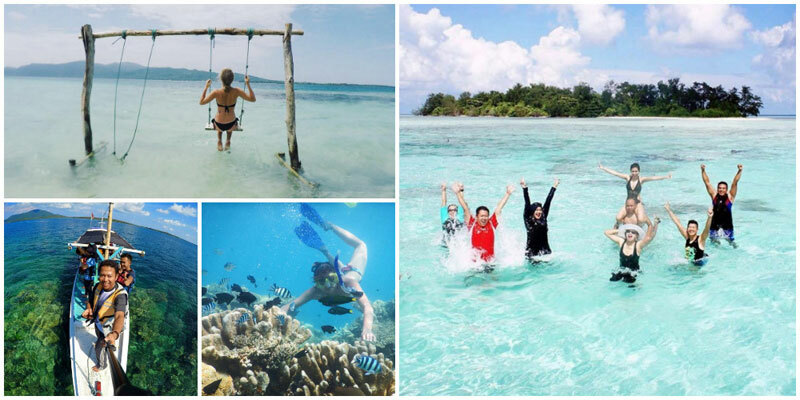 Explore this scenic area through diving, snorkelling, birdwatching and island tour activities. Q1:How long should I stay? Q2: When is the best time to travel? Q5: What about the entrance permits required? Indonesia is definitely not short on islands. With different islands and sights available, we’d find it hard to decide where to explore first too! Let us know in the comments below which island is your favourite! Currently studying mechanical engineering in Universitas Indonesia. Interested in traveling and music. One of my life’s goals would be to cross off as many destinations as possible on my list of places to visit, becoming an engineer is how I plan to achieve that.